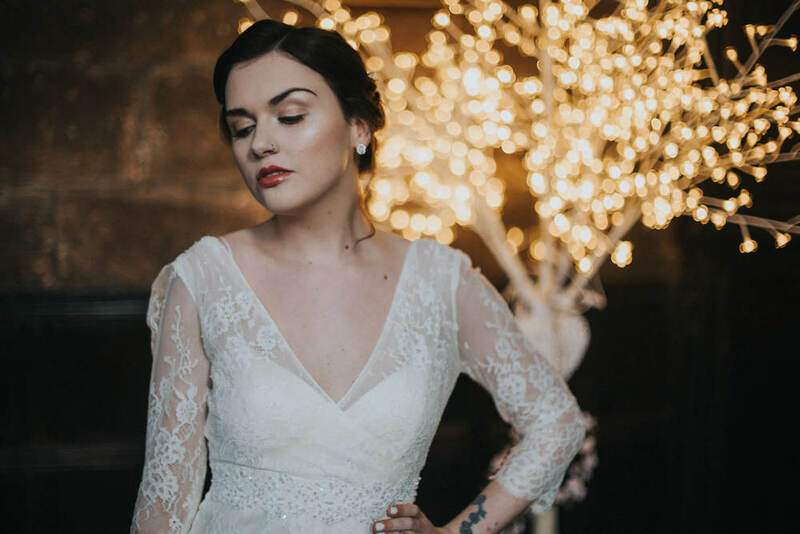 Yesterday we were over at Chetham's for a 7th Heaven Bridalwear shoot like no other! Chetham's is steeped in cultural heritage - housed in buildings that are nearly 600 years old and boasting a truly unique and magical atmosphere. 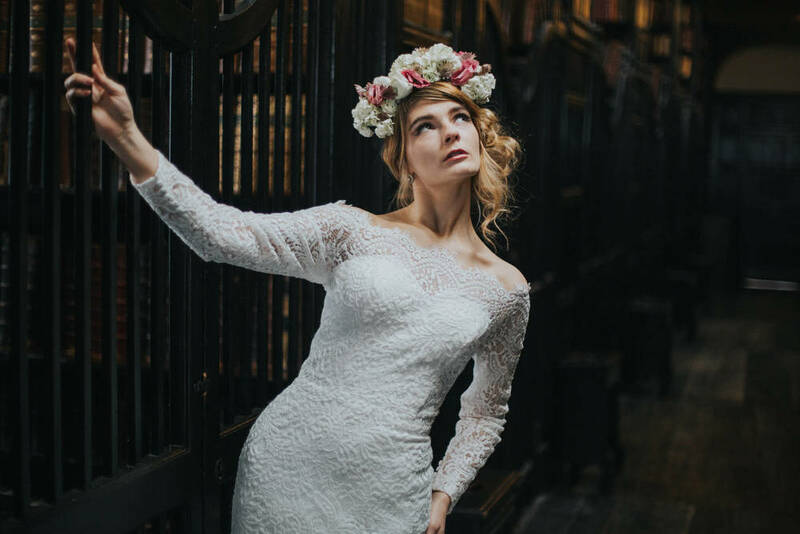 Their medieval buildings are one of Manchester’s real gems - getting married in the old Baronial Hall must be undoubtedly a unique experience in itself! 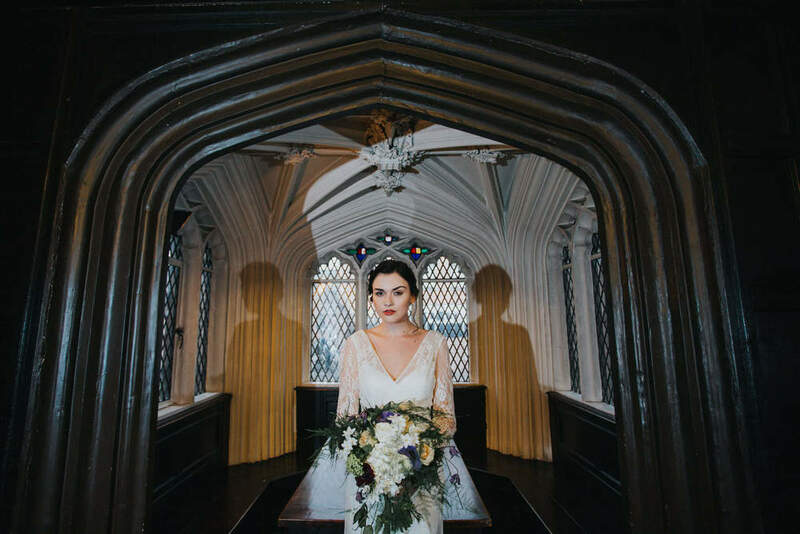 With medieval architecture from the Baronial Hall through to the old library upstairs - the opportunities for gorgeous photogenic backdrops are endless! Being given a 'free rein' of this gorgeous venue for the day - we were completely spoilt for choice for what to do! 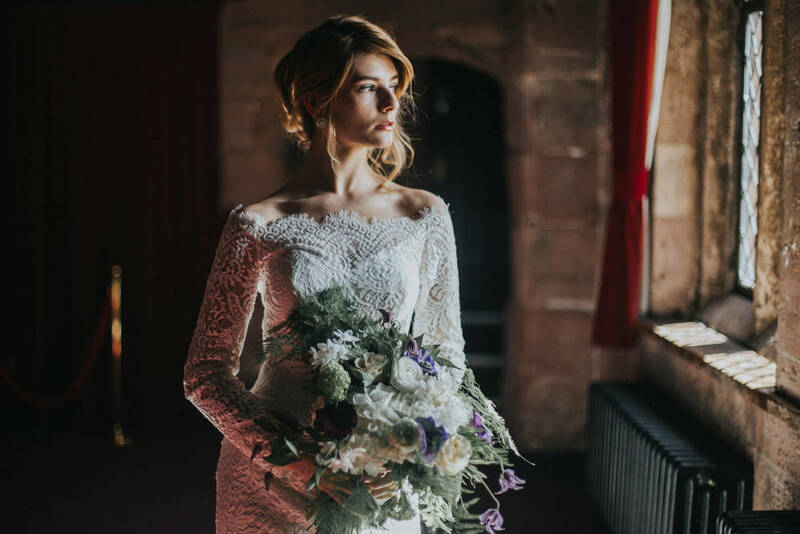 Stephen McGowan Photography worked his camera magic throughout the shoot, producing an amazing set of stunning images. 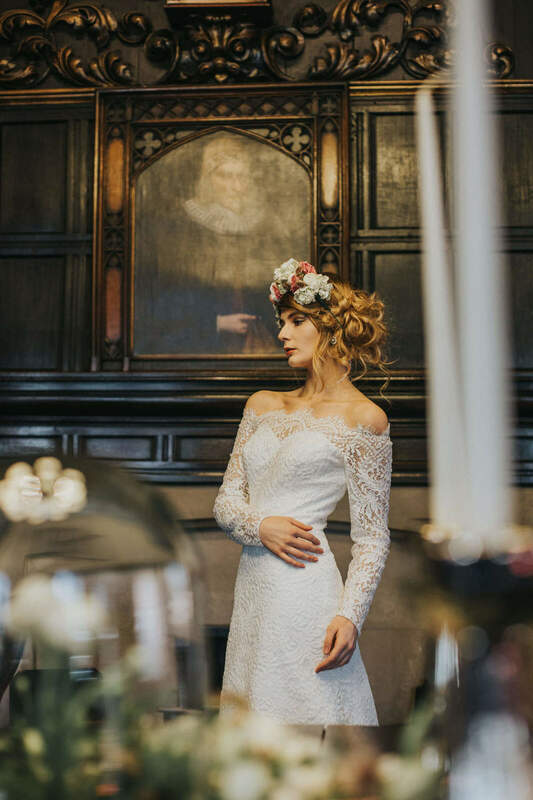 Our dresses were provided by the wonderful Helen at 7th Heaven Bridalwear in Congleton - both Charlotte Balbier dresses; 'Amba' and a brand new dress for 2016, both dresses looked gorgeous on Mary and Constance - our wonderful models for the day. 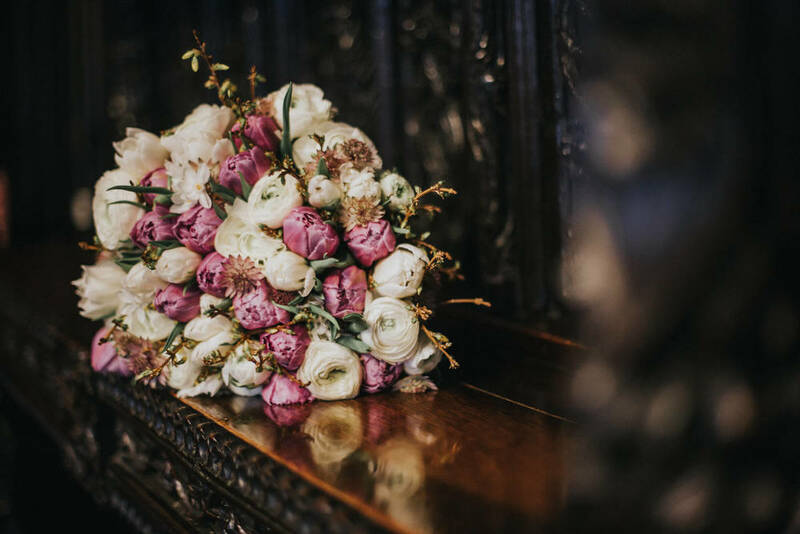 Verdure Floral Design provided us with some gorgeous bouquets, floral centrepiece and floral headwear which looked absolutely lovely on our brides and perfectly suited the look we wanted for the shoot.